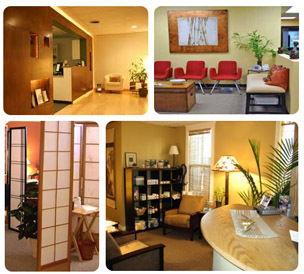 Ken Chen, a certified Diplomate in Oriental Medicine (NCCAOM), is a licensed Acupuncturist and Herbalist in both MA & RI. He received his Master’s Degree in Acupuncture and Oriental Medicine (MAOM) from the New England School of Acupuncture in 2008. He has been studying with Acupuncture Masters, including Dr. Wei-Chieh Young, Shoji Kobayashi sensei, Kiiko Matsumoto sensei since 2007. He continues studying Chinese Herbal Medicine with experienced Herbalists in the Boston area. Ken uses an integrative approach when working with each patient to optimize recovery, overall health and general well-being. At Bamboo Wisdom, we provide the modern application of ancient healing wisdom. Both China and Japan's cultures have long regarded bamboo as a defining element because it provides the means to sustain all aspects of human life, including food and shelter. Autoimmune Disorders: including Lupus, and Multiple Sclerosis, etc.